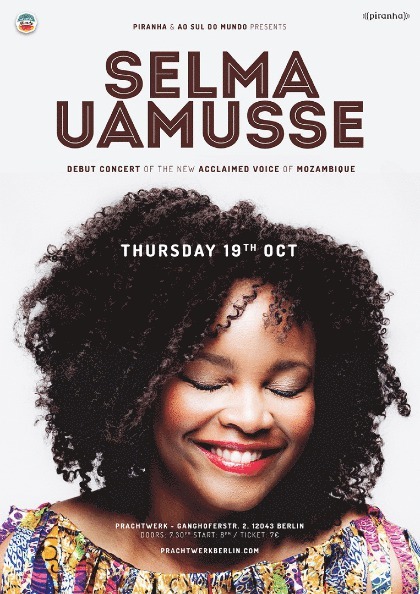 We are happy to present Selma Uamusse's concert in Berlin! 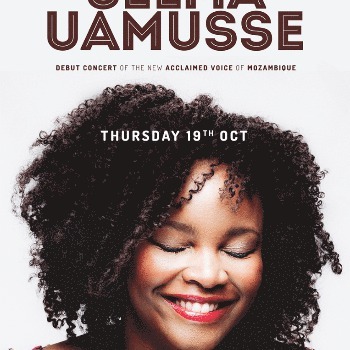 Selma Uamusse is a Mozambican singer living in Portugal since 1988. Singing professionally since she's eighteen, with a path from gospel, to rock, soul, afrobeat and jazz, Selma decided to challenge herself and record her first original solo project between Portugal and Mozambique. Exploring her Mozambican roots, bringing the unkown rythms and lyrics in native tongues, together with traditional instruments like timbila and mbira, mixed with some psychedelia, electronics and all her other musical influences. Her first solo concert, at Festival Músicas do Mundo in Sines, was a performance filled with energy, dances and emotion, that conquered both critics and audience, getting positive and enthusiastic feedback.